South Korea’s top chat app operator Kakao has confirmed that it is reviewing a bid for gaming company, Nexon, but a rumored rival bid from Chinese gaming giant Tencent could prove stiff competition. Kakao said the company was reviewing the possibility of taking part in the bid for NXC Corp., the holding company that controls Nexon. NXC Corp. founder Kim Jung-jo is widely reported to have decided to sell his 98.64 percent stake. “There has been much internal discussion on the matter,” Kakao spokesperson Lee Yoon-kun confirmed to The Korea Herald. The spokesperson, however, said the company had yet to reach a decision or choose a financial adviser for the bidding. Kakao also denied previous reports that the company had chosen Seoul-based law firm Shin & Kim. With the acquisition estimated to cost as much as 13 trillion won ($11.6 billion), it is unclear how the messenger operator plans to fund such a takeover. 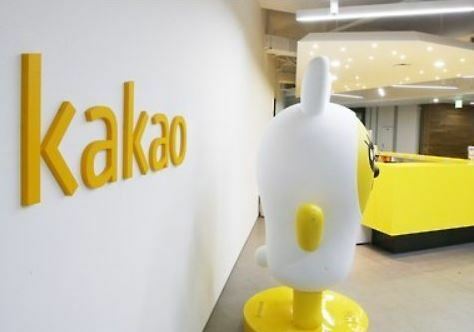 Analysts suggested one likely scenario involves Kakao joining hands with big-pocketed investors such as private equity firms and global tech giants. Kakao is thought to have up to 1.2 trillion won in cash reserves. “The money is much less than what would be needed to acquire Nexon,” said Lee Min-a, an analyst at KTB Investment & Securities. The news of Kakao’s potential bid follows reports that Chinese tech giant Tencent Holdings was considering bidding for Nexon. Tencent, one of the world’s biggest gaming companies, has about $35 billion in annual revenue and $80 billion in assets, and is thought to have much larger cash holdings than Kakao. Tencent is a major publisher of games developed by Nexon, such as Dungeon Fighter Online. The Chinese firm is also Kakao’s second-largest shareholder, with a 6.7 percent stake. Along with its mobile messenger app KakaoTalk and search engine Daum, Kakao boasts extensive business portfolio. Its key subsidiaries include game software developer Kakao Games, mobile payment service provider Kakao Pay and ride-hailing app operator Kakao Mobility.